You are at:Home»Food Links We Love»Foodie Gift Guide: UNCUT! We’ve all got one. The friend who tracks chefs and restaurants the way a sports fanatic follows trades and free agents. A cohort who’s always up on the trendiest ingredients (what the heck is salsify, anyway?). The pal who you’re slightly intimidated to invite for dinner. With the holidays upon us, odds are good that this friend — this food connoisseur — is on your gift list. And what do we get for that person in our lives for whom food is an all-consuming passion? Well, we’ve got a few suggestions in this foodie gift guide. 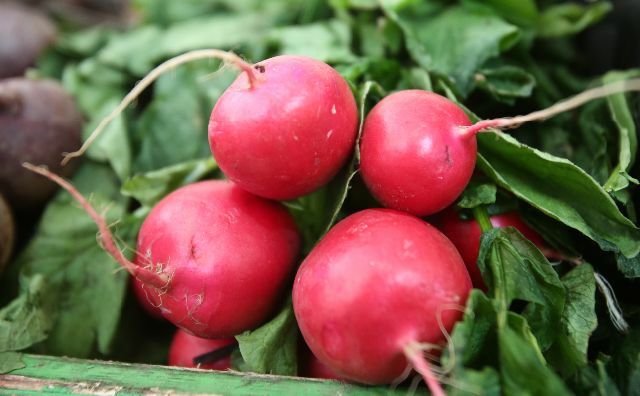 And as an added bonus, many of these gifts are locally made or sold here in the Hudson Valley, so we can support our friends and neighbors while doing something our foodie friend is sure to approve of: eating local. Long a staple at Hudson Valley farm markets, Sprout Creek Farm is a local maker of international award-winning cheeses. 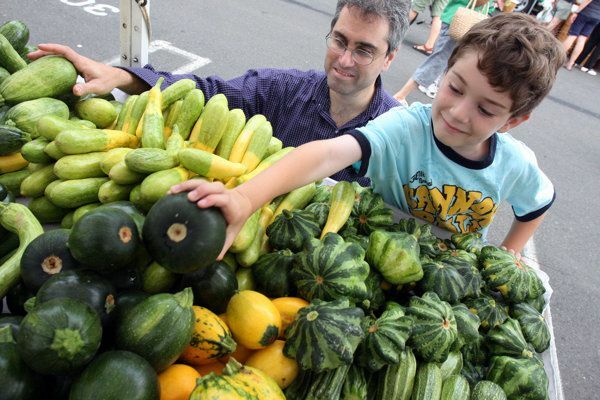 The working farm and market help support an educational center offering day, weekend and summer courses in agriculture and environmental responsibility. Plus, their goats’ and cows’ milk cheeses — such as Madeleine, Toussaint, Ouray and Barat — are delicious. What self respecting foodie can’t get behind that? Gift baskets start at $40 and can be ordered on the website at http://www.sproutcreekfarm.org, by phone at 845-485-9885, or via email at cheese@sproutcreekfarm.org. Charlie Ruehr was toiling away at an investment banking job when he realized his real passion was for food, and in particular, olive oil. 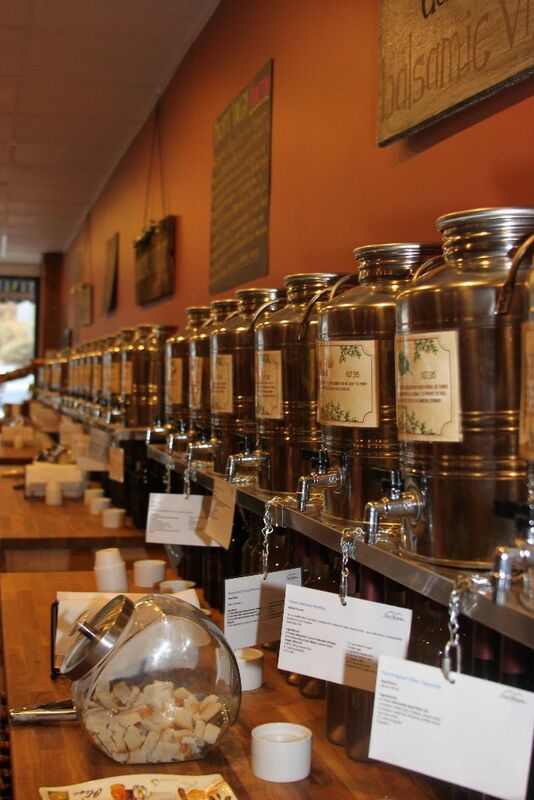 He and his cousin Zak opened Pure Mountain Olive Oil, with locations in Rhinebeck and Tarrytown. Boasting a large selection of extra virgin olive oils, infused oils, balsamic vinegars and various sea salts, there are numerous gift options. Be sure to try their Olio Nuovo, the smooth peppery first press of this year’s California olives, syrupy fig balsamic vinegar and habanero sea salt. Be careful though, it packs a punch! Prepared gift baskets begin at $35, or build your own basket at the store or online. Pure Mountain Olive Oil, 11 N. Broadway, Tarrytown, 914-418-5453; 23 E. Market St., Rhinebeck, 845-876-4645; www.puremountainoliveoil.com. Wine and spirits are classic gift ideas, but what if you want something original to give a true food aficionado? “Holiday season is the perfect time to break out of your year-long comfort zone,” says Dean Moretta, owner of Vintology Wine & Spirits in Scarsdale. For a warming digestif to be sipped as chestnuts roast upon an open fire, Moretta suggests the subtle Chateau de Laubade, a Bas Armagnac, which he likens to a “thinking man’s whiskey.” Bubbles are celebratory, too, and while Champagne Moutard, made from 100 percent pinot noir grapes, is great for sipping, it also “has the depth to cut into a meal,” he says. Or, surprise your cab-loving friends with a white they’ll love: a 2010 Clarendelle White Bordeaux, which Moretta calls “provocative,” with notes of melon, citrus and minerals. Vintology, 10 Palmer Ave., Scarsdale, 914-723-2040, www.vintology .com. 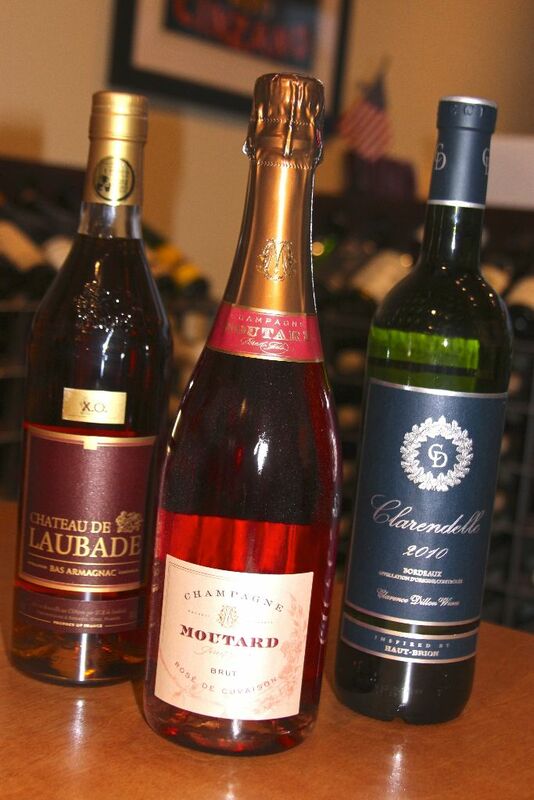 Chateau de Laubade, $79, Champagne Moutarde, $49, Clarendelle, $19. Trying to strike just the right tone for a corporate gift, or maybe just to find the best quality holiday sweets available? At Chocolations, owner Maria Valente, a former lawyer, started making chocolate at home with her children, eventually opening her own store. Lucky for us: Her chocolate bark, a slab of chocolate sprinkled with decadent toppings, or award winning truffles, will impress and delight the sweetest tooth. 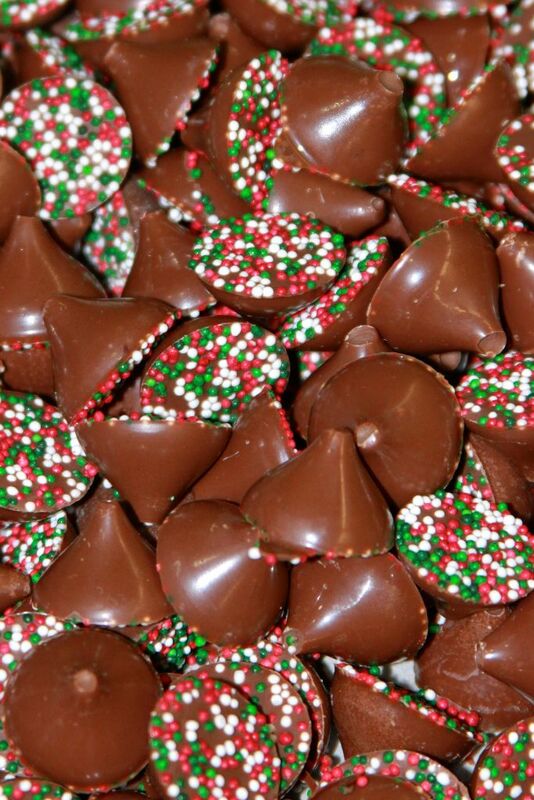 Truffles are $1.75 each; bark is $25 per pound; gift baskets start at $40. Chocolations, 607 E. Boston Post Road, Mamaroneck, 914-777-3600, www.chocolations.com. Got a Game of Thrones fan in your life who is also a foodie? Who doesn’t, right? Well, perhaps he or she would like a nice warm bowl of Harrenhal gruel on a cold day. Or maybe a beef and bacon pie from the North, or the dubiously named Bowls of Brown from King’s Landing. 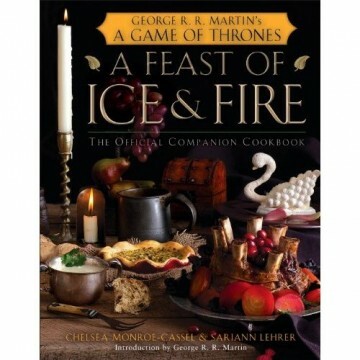 If that is the case, then “A Feast of Fire & Ice,” the official cookbook of Game of Thrones, is the gift to buy. It’s worth it just to discover what’s in a Bowl of Brown. Random House, $21.00, www.amazon.com. 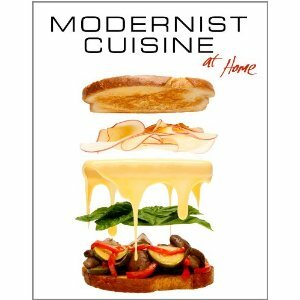 Whether your foodie’s interest lies in sous vide and foams, or refining classics like hamburgers and macaroni and cheese using updated methods, this lavishly illustrated hybrid cookbook and science text will appeal to cooks of varying skill levels and anyone who aspires to be a modernist chef. The Cooking Lab, $105, www.amazon.com. Collector, connoisseur or “Mad Men” fan to please? 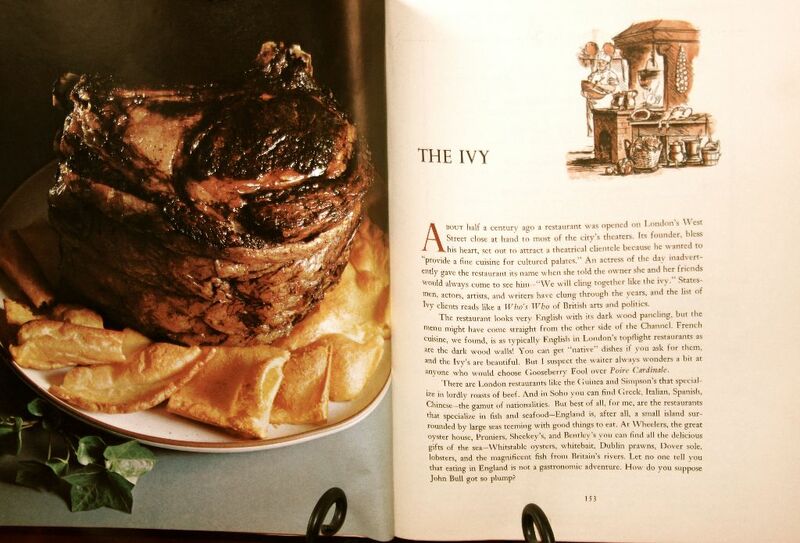 There’s perhaps no better cookbook than “A Treasury of Great Recipes: Famous Specialties of the World’s Foremost Restaurants,” by famed actor Vincent Price and his wife, Mary, who were huge food lovers themselves. This beautiful volume is part cookbook, part entertaining guide and part time capsule, reproducing recipes from the finest restaurants of the mid-20th century. I treasure mine, as would any aficionado of food or history. Grosset & Dunlap. Used copies start at $35.99, collectibles at $120. www.amazon.com. Many people with refined taste in coffee would love a single serve coffee make but the idea of being told which pods they can use is a deal breaker. 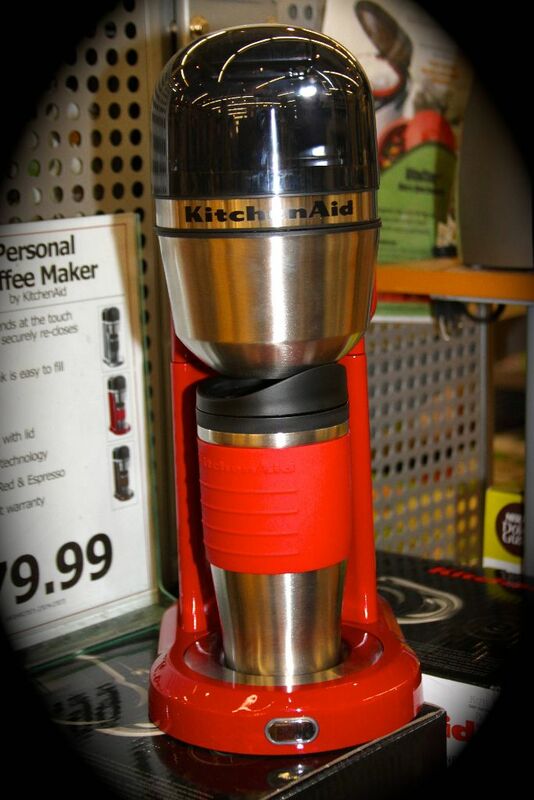 If you have such a person on your list then KitchenAid’s new single serve coffee maker might be the ideal gift. It allows its owner to use his or her own coffee (Kopi Luwak of course) and brews it directly into an insulated mug. It’s also available in four handsome colors. $79.99. 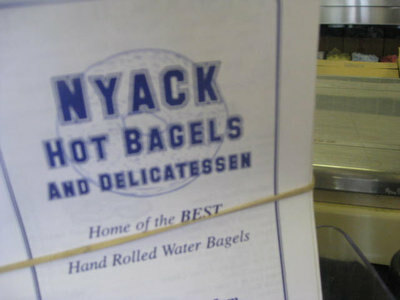 Available at Chef Central, 45 S. Central Ave., Hartsdale. 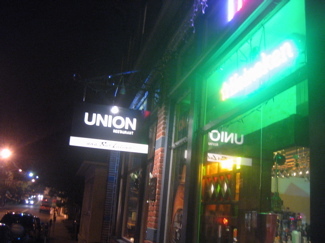 914-328-1376, www.chefcentral.com. Do you have a friend who loves to cook but can never chop an onion without looking like you just watched Terms of Endearment? 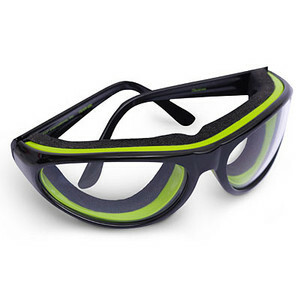 Well then a pair of Onion Goggles might be just what the doctor ordered. Worried your friend won’t appreciate their aesthetic appeal? Reassure him or her that looking as if one is openly weeping with a runny nose is not the best look when guests arrive either! $21.00, www.amazon.com. Induction cooking is rapidly becoming beloved by chefs who appreciate its efficiency and by home cooks who like that the cook top itself remains cool to the touch. Induction burners heat cookware via an oscillating magnetic field, so it allows instant control like a gas burner, but is much more efficient, since none of the energy is lost heating the air around the pan. As a traditionalist, however, I find myself hard pressed to fully embrace induction at the cost of giving up my gas burners. 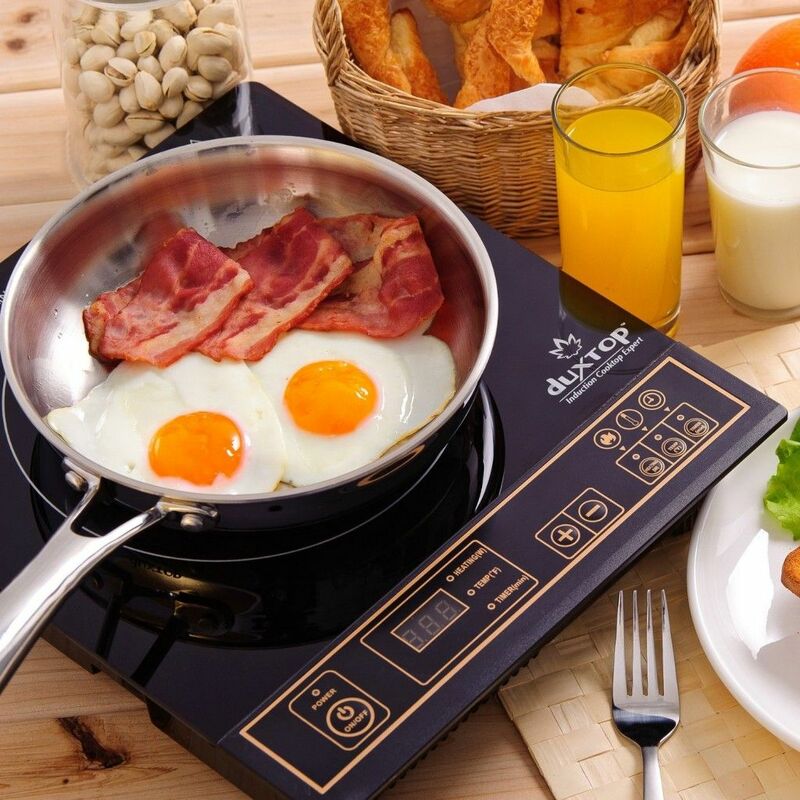 However, The Duxtop 1800-Watt Portable Induction Cooktop Countertop Burner 8100MC single induction burner provides an inexpensive test run with the new technology. And who wouldn’t kill for an extra burner on Thanksgiving? $78.99, www.amazon.com. $199.95, Williams-Sonoma, The Westchester-125 Westchester Ave., White Plains. Next, iPad app, $5, www.itunes.com. 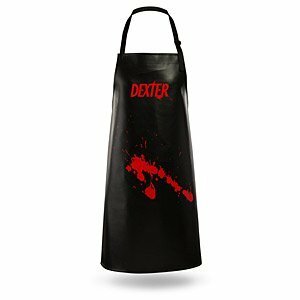 While we’re discussing television, let’s move on to the Dexter Apron. Got that crazy uncle who nobody’s quite sure about? Enjoy giving him an apron emblazoned with the logo of cable television’s favorite sociopath. Then enjoy checking under your bed before you go to sleep every night. Next up we have Bacon Soap. 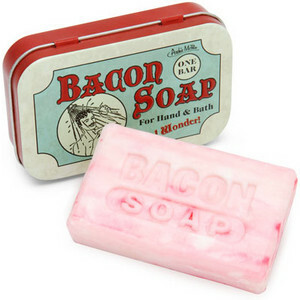 Because bacon soap. Seriously, if I have to explain this one to you then you and I can’t be friends. 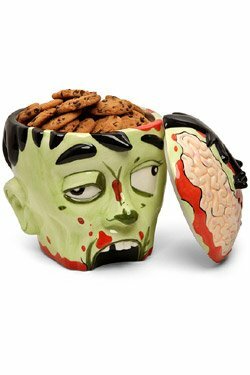 Zombie Head Cookie Jar, $29.99, Dexter Apron, $19.99 and Bacon Soap, $5.99 are all available at www.thinkgeek.com. Do you have any precocious future foodies on your list? 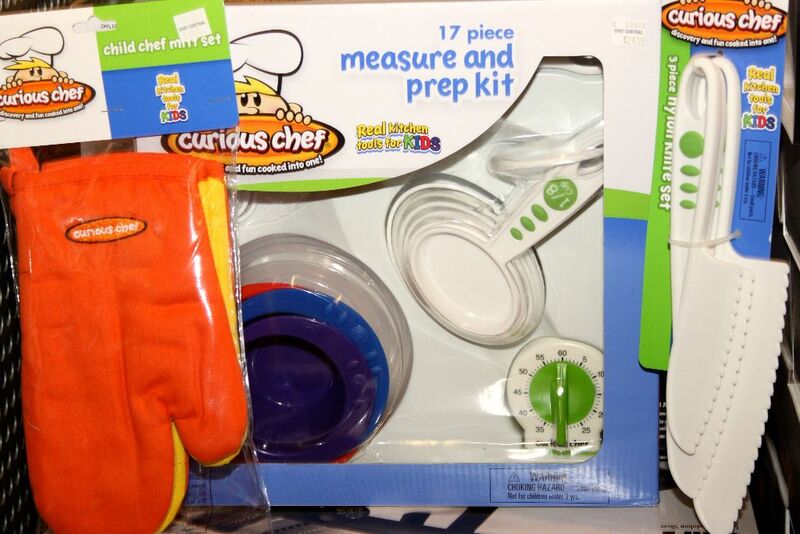 Start their culinary journey properly with tools from Curious Chef. A measure and prep kit ($24.99), complete with measuring cups and kitchen timer, oven mitts ($24.99) and a set of plastic safety knives ($9.99) with have the little tyke well on the way to whipping up masterpieces. Curious Chef items available at Chef Central, 45 S. Central Ave., Hartsdale. 914-328-1376, www.chefcentral.com. You want happy foodie kids? Happy, wired, crazy foodie kids clutching their temples in the throes of a brain freeze? 7-Eleven now markets a home line of Slurpee makers! Just pour in juice, turn a crank and, viola!, Slurpees at home. Of course, if you don’t mind cavities and kids who don’t fall asleep all night, just cut to the chase and buy a Waring home cotton candy machine. I’m not saying I’d get this for my own kids, but if you want to get a little passive aggressive revenge on a friend or sibling, it would make a great gift for their kids. 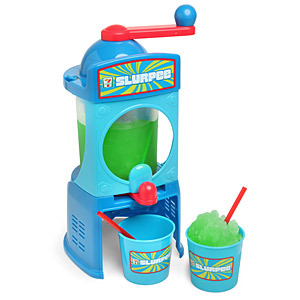 Slurpee maker, $44.99, www.thinkgeek.com, Cotton candy machine, $48.99 www.amazon.com. Hopefully this list will help you make that special foodie in your life very happy, and may you all have a happy, healthy and food filled holiday of your own! David Dallow blogs at WestchesterFoodie.com and is a contributor to the Small Bites blog at food.lohudblogs.com. You are the man! Love the new Cuppa Joe machine and you know I have been a good girl so maybe Santa will bring one to me! My man got bacon soap for his b’day and you are always on target that no explanation is ever needed, as bacon makes even soap better!